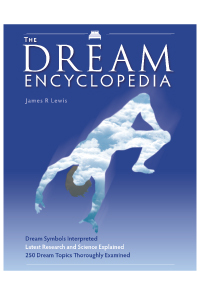 Prof. Lewis is the author of Visible Ink Press' Angels A to Z, The Astrology Book, and The Dream Encyclopedia. Other titles include Doomsday Prophecies: A Complete Guide to the End of the World, Magical Religion and Modern Witchcraft, and Peculiar Prophets: A Biographical Dictionary of New Religions, and his latest, The Oxford Handbook of New Religious Movements. Lewis' work has received recognition in the form of Choice's Outstanding Academic Title award and Best Reference Book awards from the American Library Association and the New York Public Library Association.